Amid troubles of some kind, the FAA has put off the selection of unleaded avgas of the future. 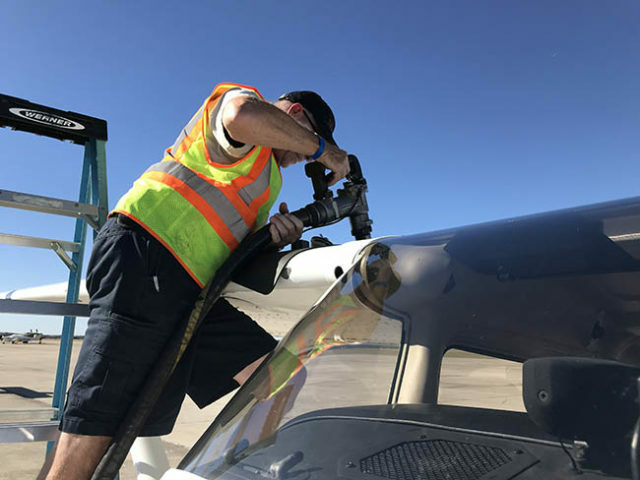 In the first update on the subject in nearly a year, the FAA announced late last week that it was extending the target date for selecting suitable fuels as part of its Piston Aviation Fuels Initiative (PAFI) program to find a 100LL replacement. Originally, the agency had sought to pick the winning candidates by the end of 2018, but on June 7th it extended that date to the end of 2019. No specific reason was given for the delay except that during its testing it found that the candidate fuels (from Shell and Swift Fuels) were different than 100LL. We know “different” seems like an attempt to say something while sharing very little if any actual information. At the same time the agency suspended all flight testing and some engine testing while they analyzed the results, none of which sounds promising. The suspension of flight testing, especially, suggests that the differences between the new unleaded fuels and 100LL caused enough concern as to present a safety-of-flight risk. The update also said that Shell and Swift are “currently evaluating options to mitigate the impacts that these differences will present in fuel production, distribution, and operation in the GA fleet,” though, again, the update didn’t specify what those “differences” were. The invitation brings up the possibility that the FAA has lost confidence in the candidates from Shell and Swift, though the release didn’t say that precisely. Still, that the FAA would issue such a release less than six months from the original finish line date suggests that the PAFI program is in deep trouble though, once again, the nature of that trouble remains mysterious. The FAA could not be reached for direct comment on the update. They should put the whole program in the trash. Keep the existing fuel, 100LL, so everyone with Trubo charged big engines can stop worrying that their airplane will become unsafe to fly. As a owner of one, the new fuels scare me! I’m with Evektor Aircraft and we have 1400 aircraft flying. Many of our owners have chosen to use unleaded Auto Fuel as our powerant, the Rotax permits this. It has proven very succesfull as an option in the Light Sport Market as an economical alternative with lower maintanence costs and shows real promise. Possibly Unlesded Auto Gas with an additive would work for my st light to medium GA aircraft.